Wow! You will not be disappointed when you see this brick home, built with concrete block construction. Owner has recently upgraded flooring to hardwood acacia in the common areas, plus master. Kitchen features a beautiful travertine floor, with decorative inlay. 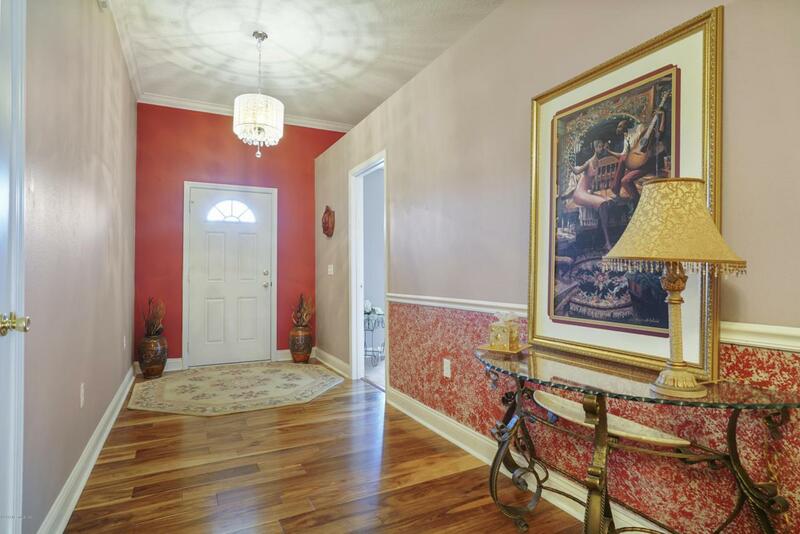 Upon entry, you will notice the extra attention the owner has given to the details in this home! Updated chandelier in foyer, crown moulding in formal living room, plus chair rail in dining room. 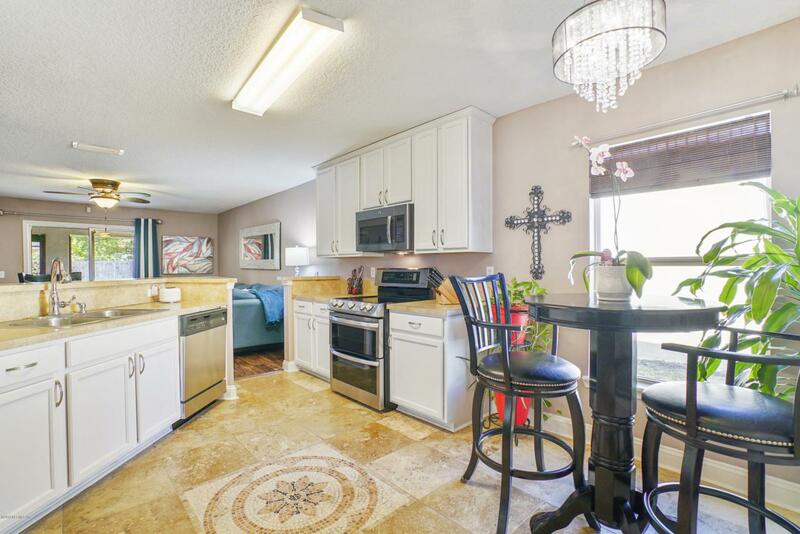 Kitchen features stainless appliances and white cabinetry. Breakfast nook is adorned with new, decorative chandelier. Sliding glass doors lead from family room to large, screened patio. Enjoy the Florida weather under the shade and fans. Master bedroom is connected to ensuite bath w/dual vanity, garden tub, stall shower, & walk-in closet.3 guest bedrooms & guest bath in hall. Fans in all bedrooms. Two car garage with lots of extra storage in the attic and interior closets. 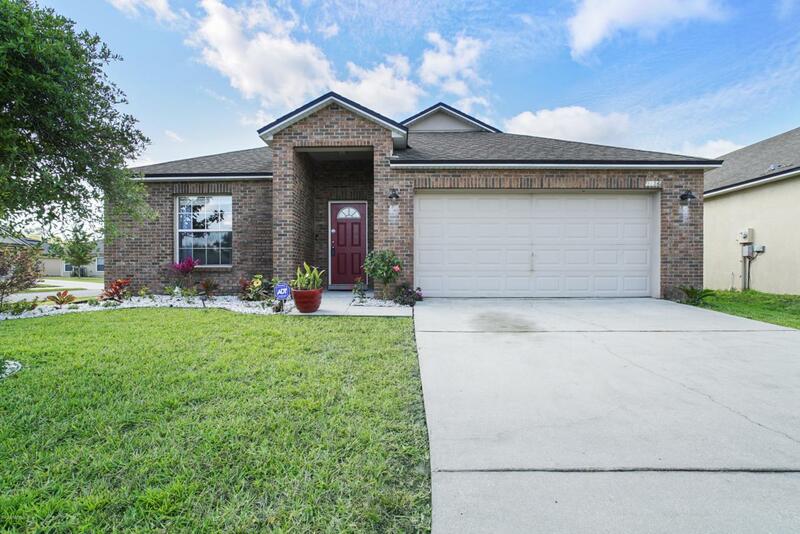 Excellent location near Duval Charter School. Quaint neighborhood with easy access to I295, I10, and all points downtown. 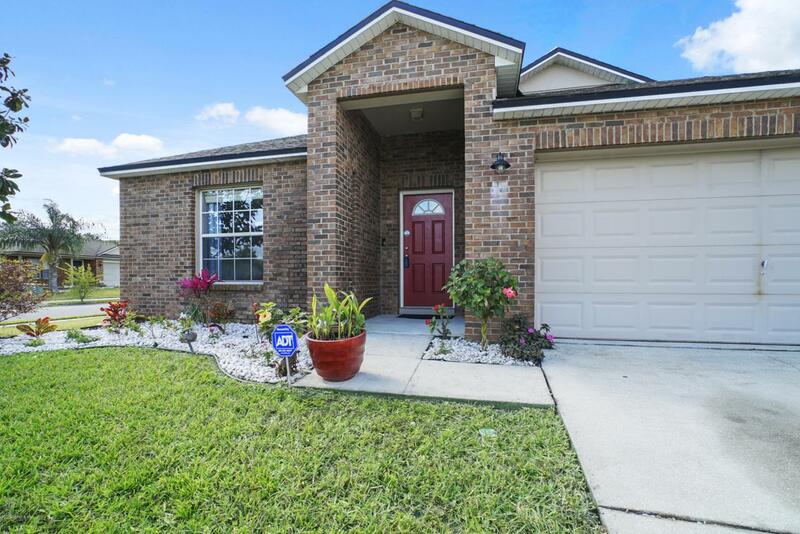 7 minutes to the shopping, restaurants, and entertainment located in Oakleaf Town Center.